There is something about history that can awaken a person’s imagination and curiosity; it is what inspires archeologists to dig, Civil War reenactors to reenact, and helps the costume designers from period dramas win the Oscar year after year. While today Ypsilanti’s Depot Town is home to many of the area’s best bars, restaurants, and boutiques, it is the preservation of the area’s history and heritage that sets it apart from other commercial districts. Depot Town, a commercial area spanning East Cross Street from the Huron River to North River Street, and a small segment of the 300-block of North River Street, makes it very easy to imagine what the area looked like nearly 150 years ago. 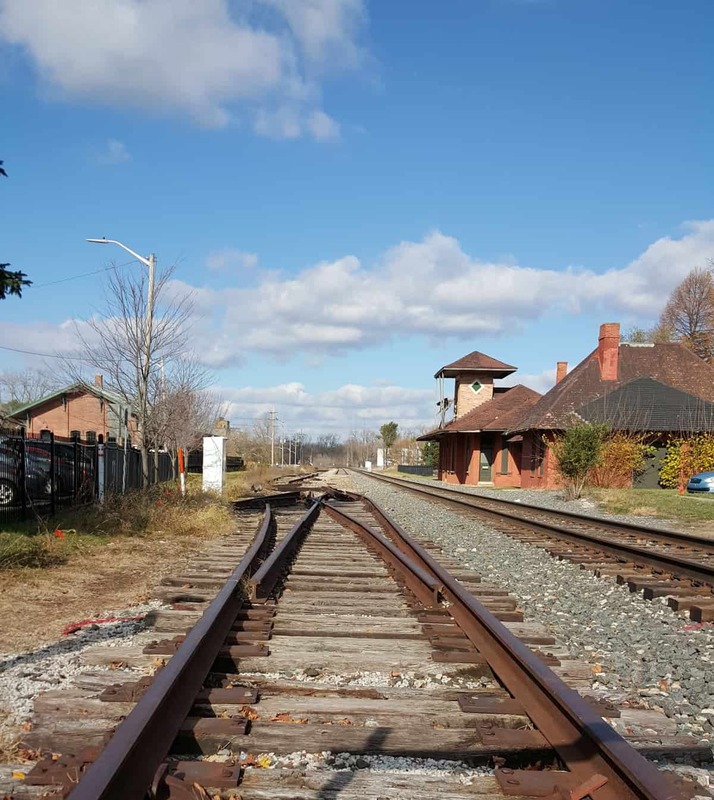 While the train depot that inspired the area’s construction in the late 1830s is long gone, the majority of the buildings were built between 1850 and 1880 and maintain their charm: tin ceilings, hardwood floors, and exposed brick walls. Since Depot Town was established in the 1830s, it has been home to a hotel, an Underground Railroad station, and American Civil War barracks, and even a building that has housed a restaurant and bar continuously for 150 years, though of course they switched to serving pop during Prohibition (though there some rumors floating around that they didn’t fully adhere to that!). 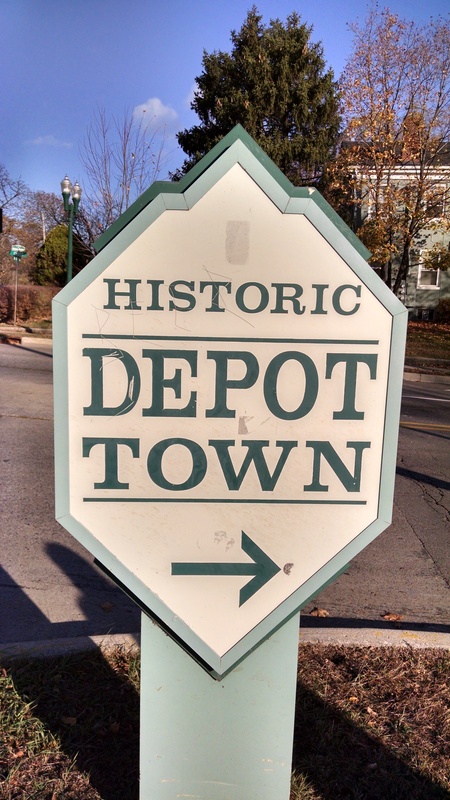 Nowadays, Depot Town provides a home to a wide array of businesses: restaurants, bars, antique stores, artisan markets, museums, a tattoo parlor, and even a medical marijuana dispensary. During my #MittenTrip to Ypsilanti, I took advantage of as much of Depot Town as I could (with exception, of course, of the last two businesses). No matter what your agenda, there is plenty to keep yourself occupied in Depot Town. On the corner of East Cross and North River stands Sidetrack, probably the most famous of the establishments in Depot Town. The building housing this neighborhood staple has housed a bar/restaurant for 150 years, and still slings some of the best burgers in town (ranked in the nation’s Top 20 burgers by GQ Magazine). 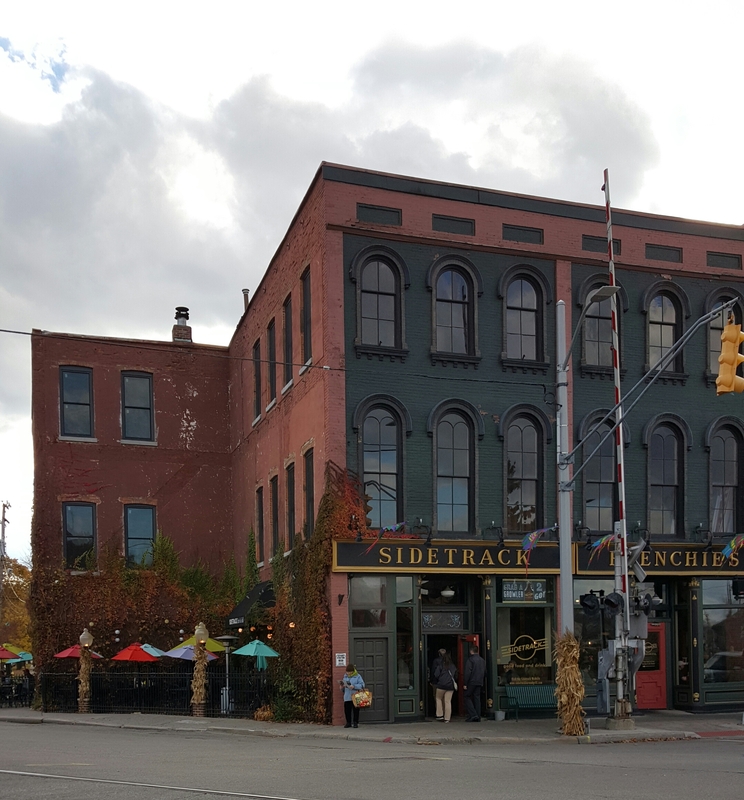 Sidetrack also offers a wide variety of beers on tap, plenty of vegetarian options, and a decor that wouldn’t have been out of place 100 years ago. A relative newcomer to the Depot Town food scene is Maiz Mexican Cantina is a restaurant focused on service, freshly prepared Mexican-inspired fare, in a cozy yet modern environment. While I took advantage of happy hour, enjoying ½ off margaritas and appetizers, the entrees sounded delicious as well. Make sure you save room for dessert (or a third dinner), because Cafe Ollie serves everything from beer and wine to specialty coffee beverages, ice cream, and a wide variety of sandwiches and specialty macaroni and cheeses, and boasts a wide array of vegetarian and vegan options. Shopping in Depot Town includes locally made crafts and other artisan products at The Eyrie near a wide array of delicious grocery items – including locally baked bread and other goodies – at the Ypsilanti Food Co-op. Also, a florist, a couple hair salons, a number of locally owned antique shops that provide another window into the past (complete with that unique smell that only the past seems to have), and a variety of other shops, services, and even a farmers market. The farmers market had been housed in the historic freight house, built in 1887, until the freight house was closed in 2004 due to structural issues. If the well-maintained commercial buildings and antique shopping aren’t enough to transport you back in time, the Ypsilanti Automotive Heritage Museum just might do the trick. The museum, housed in a fully preserved 1920s Hudson dealership, is home to about 30 cars – produced between 1933 and 1991 – as well as a bunch of fun merchandise and advertisements, focused on car companies with ties to Ypsilanti. Though they aren’t technically part of Depot Town proper, both Riverside Park and Frog Island Park are important parts of the area, hosting a variety of events during the warmer months including the Summer Beer Fest, ElvisFest, Ypsilanti Heritage Festival, and Orphan Car Show. Even if there are no events planned when you make your way to Depot Town, these parks provide a great place to walk around, burn off some of the calories from the burgers and beers you likely consumed, and get a great view of the Huron River. 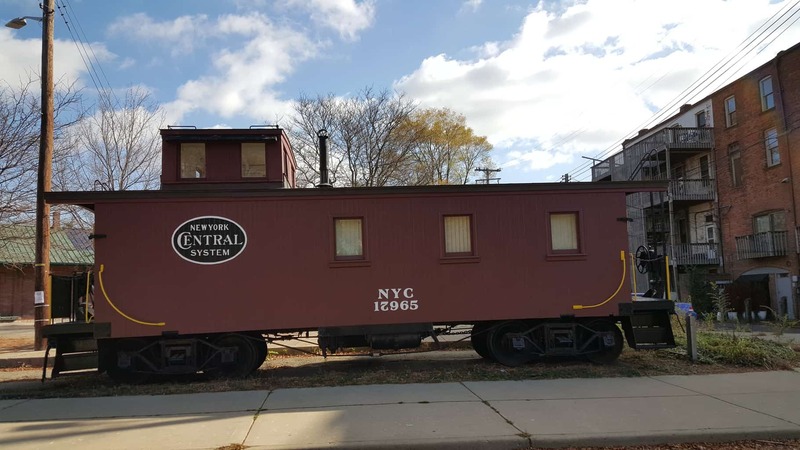 So, whether you are looking to take a step back in time to a day where you had to dodge horsedrawn carriages and derailed trains, or if you just want to take advantage of some of the best shops, bars, or restaurants that Ypsilanti boasts, Depot Town is always a good call. Tagged Cafe Ollie, depot town, ElvisFest, Frog Island Park, huron river, Maiz Mexican Cantina, mittentrip, Orphan Car Show, Riverside Park, Sidetrack, Summer Beer Fest, the eyrie, Ypsilanti, Ypsilanti Automotive Heritage Museum, Ypsilanti Food Co-op, Ypsilanti Heritage Festival.